Equal-i is the name of Array Telepresence’s image improvement algorithms, camera and Image Processor that dramatically improves the scene for telepresence-quality experiences using your existing videoconferencing codec in any standard conferencing room with standard elongated conference room tables and boardroom tables. Designed for dual screen systems, the Array Equal-i DX dual-headed camera is concealed at eye-level in a 1 inch space between two displays (Curved or flat panel) and then the camera and space are concealed with a cover. 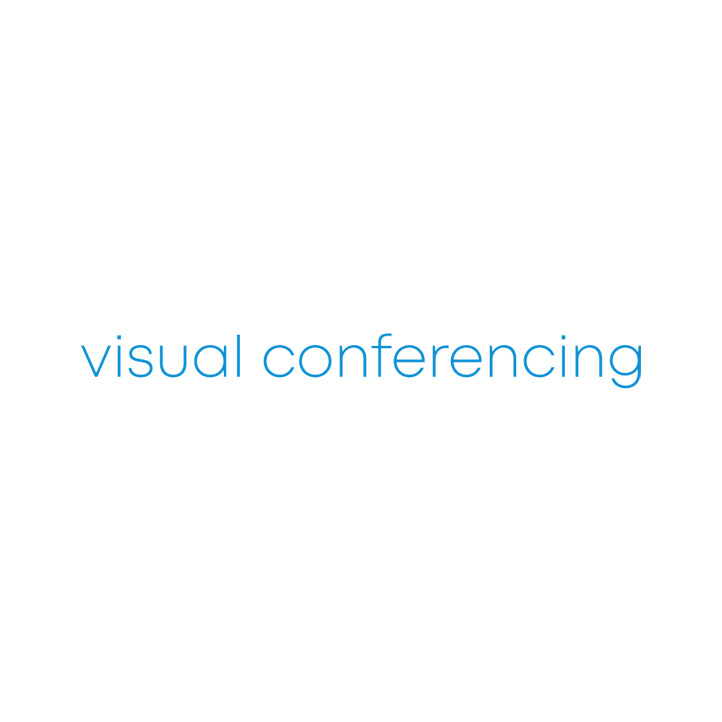 On the other side of the videoconferencing call, the Equal-i Image Processor receives a single videoconferencing stream from its codec and splits the stream into two different high-definition streams allowing a single codec to power dual displays. The resultant experience is measurably superior to 3 screen telepresence environments from Cisco and Polycom, that cost £200,000+, for 1/20th the cost. The farthest participants are brought “up close and personal” increasing the pixel count on their faces by 6.5Xs that of a PTZ camera while “Equal-i-zing” their size to the size of the closest participant. Vertical eye-line is improved by ~13% over PTZ, meeting format is improved to a more “across the table” feel, stand-up capture is enabled, and the system powers a wide-format dual display using a single codec with no impact on bandwidth. The Equal-i DX Camera Module requires just 4mm between dual displays and sits at perfect vertical eye-line, where it sits on and is concealed by the display bezels. The camera plugs into Array’s Equal-i 2S Image Processor which applies custom image improvement algorithms to improve the scene before handing the video stream to the codec for the trip across a network. Ideal Display Scenario: The DX Camera is ideally displayed concealed at perfect vertical eye-line between dual displays (flat or curved). We recommend a minimum of 65 inch displays for an 8 person table and 80 inch displays for 12 person or more size tables. Table Shape– The Equal-i Image Processor and the DX Dual Camera Module will work with any elongated table but the 8 seat & 12 seat “racetrack” shapes produce the best experience. The Equal-i 2S Image Processor is a video conferencing hardware peripheral that works in conjunction with one of three Array Camera Modules. Together, the box and camera replace the typical pan/tilt/zoom (PTZ) camera associated with most video conferencing systems and inputs to any commercial video conferencing codec or PC’s running videoconferencing soft clients. Between the camera and your videoconferencing codec sits our patent-pending Equal-i 2S Image Processor, which works at wire-line speed to improve the image before it is sent to the videoconferencing codec for the trip across the wire. The resulting experience is exponentially improved and incrementally better than that of three screen multi-codec room systems for a fraction of the cost.